There is nothing more appealing and attractive than a flawless and perfect looking face. The natural glow on the face accompanied by symmetrical features is desired by everyone. But as much as a perfect face remains on everyone’s wish list, it is quite an elusive thing. It is not that people are not beautiful or good looking. But the environment that we live in mars our natural beauty to a very large extent. The lifestyle diseases and stress take a serious toll on our health and eventually our beauty. People have begun to age much faster than ever before. In addition to the stress and pollution there are some other scenarios as well which may cause a person to lose their natural good looks. Severe accidents, life- threatening diseases like cancer and congenital defects may also cause people to have asymmetrical features and other cosmetic problems. Not only, facial features and skin problems, people are often faced with hair problems as well. It is not very uncommon to hear people often complain about problems like hair fall, dandruff etc. though to some extent these problems are managed well with the help of OTV products but in extreme cases medical intervention may be required. Fortunately, we live in a world, where such cosmetic problems have solutions. Today, in India, best skin treatment and best hair treatment both are available. Dr. Rinky Kapoor is one of the leading dermatologists and cosmetologists in India. She is currently based in Mumbai, India and is the head of The Esthetics Clinic. The Esthetics Clinic is a cosmetic hospital which provides treatment for all problems related to skin and hair. 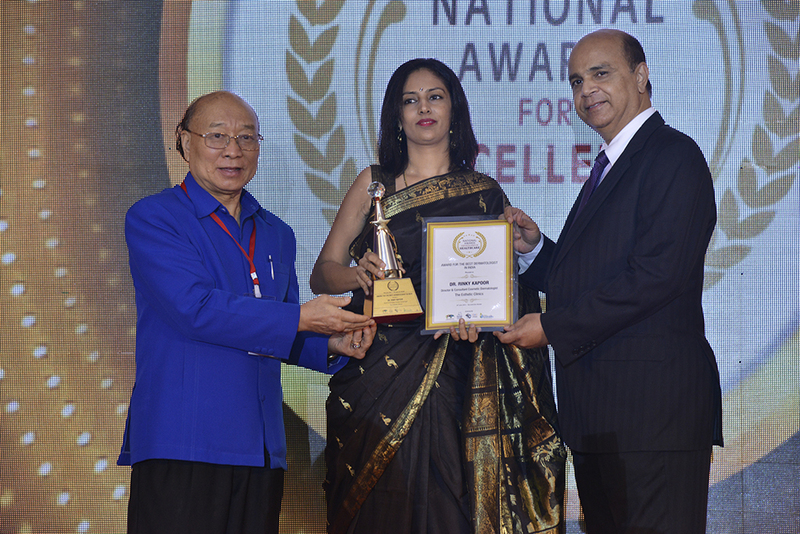 Dr. Rinky Kapoor has been performing various intensive and intricate cosmetic procedures for various skin problems and therefore has earned the reputation of the dermatologist in India. Her years of research and experimentation have led her to formulate and master the best treatment for hair and best treatment for skin. Whatever skin problem you are facing, Dr. Rinky Kapoor can provide the best solution for you. From problems such mild acne to severe skin problems such as psoriasis and eczema, you can be sure to get the best skin treatment by the best dermatologist in India, Dr. Rinky Kapoor. She also deals with various hair issues and the Esthetics clinic is equipped with the latest and modern facilities for all types of treatment for hair problems as well. From problems of excessive dandruff which may caused due to seborrhea to excessive hair fall which may be causing hair thinning leading to baldness. So, you want the best dermatologist in India for the best skin treatment consult Dr. Rinky Kapoor at her super specialty cosmetic hospital, The Esthetic Clinic. Glossy and thick hair which is full of health and lustre are definitely a person’s crowning glory. Thick and bouncing locks are desired by men and women alike, so when any problem is faced by either of them, it sure calls for a lot of distress. Problems of hair can be equally bad with both men and women. While men have higher possibility of encountering baldness owing to male pattern baldness, females also rarely can suffer from this condition. Other than baldness, problems of hair ay include hair loss, premature greying, dandruff, infections of scalp etc. though in some cases the symptoms and the problem can be managed by using products like medicated shampoos and oral medications, many cases require intervention of a qualified trichologist/ hair specialist. Dr. Rinky Kapoor is a famous hair loss specialist in Mumbai who is considered to be a pioneer in the field of inventive hair loss treatments. People who had lost their confidence with hair loss have found their happiness and confidence again with the help of hair specialist Dr. Rinky Kapoor who is Mumbai based. There are hundreds of patients in and outside Mumbai who can vouch for her prowess in the field of hair loss treatments. So, if you are looking for hair loss specialist in Mumbai, head straight to Skin Doctor India and meet Dr. Rinky Kapoor. Cases of botched up hair treatments are very prevalent in Mumbai. Such cases happen not because of lack of facilities in Mumbai, but because of innocent people who mistake unqualified individuals to be hair specialists. If you are in Mumbai, or from anywhere else make sure you come to Dr. Rinky Kapoor who will definitely give you the best possible care for your hair problems. If you do not live in Mumbai, do not lose hope, head on to our website and you can easily proceed with your treatment from there.